Through the corridors of Machu Picchu. In the great Inca citadel, located, Cusco. Through the corridors of Machu Picchu. 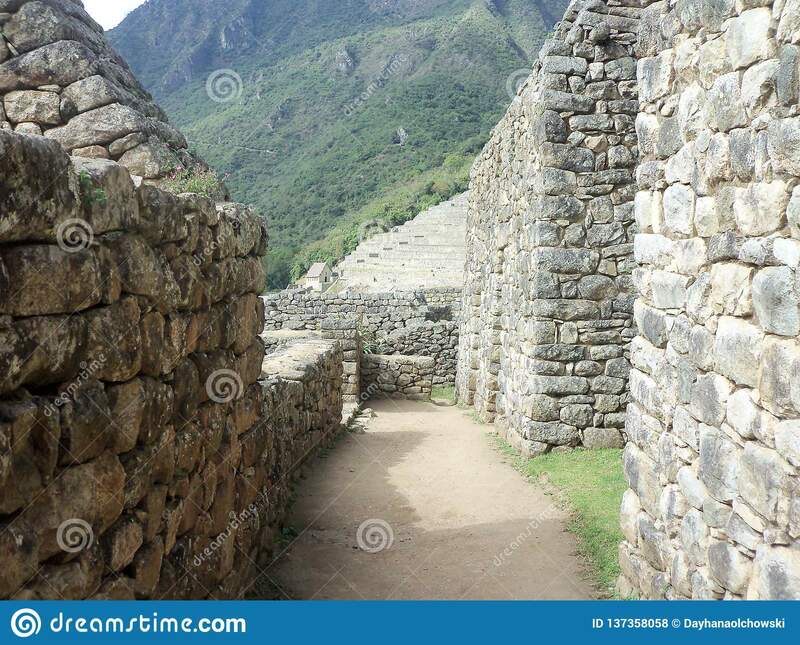 A small space with stone walls, in the great Inca citadel located in Cusco. In the heights of the Andes mountains in Peru. Through the corridors of Machu Picchu. In the great Inca citadel, located, Cusco.Through the corridors of Machu Picchu. In the great Inca citadel, located, Cusco.